Mosul- Mosul’s celebrated museum has not recovered since Daesh ravaged its ancient treasures several years ago, but part of the complex reopened last week to showcase more contemporary art. For the first time since Daesh overran the Iraqi city in 2014, visitors could wander the grandiose royal reception hall, which forms part of the museum. 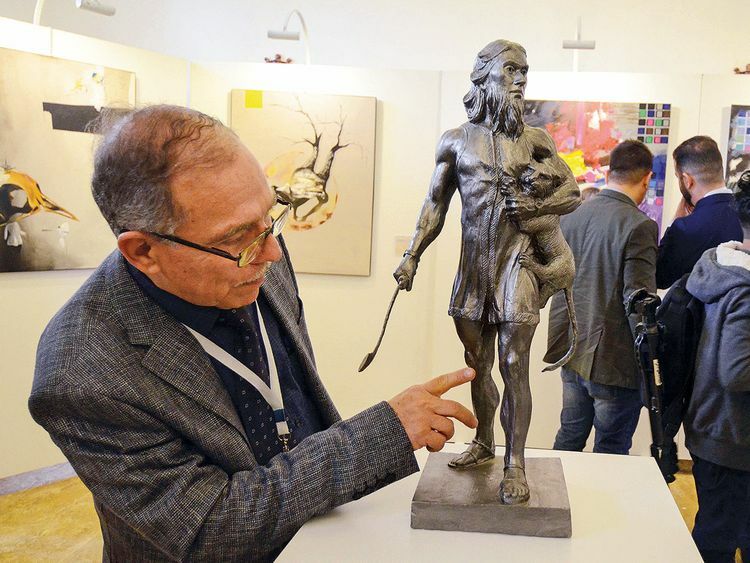 The building is considered the oldest government complex in Mosul and was recently renovated to host the 29-artist exhibit, titled “Return to Mosul,” a member of the organising Al Ghad Radio station told AFP. The northern Iraqi city served as Daesh’s brutal seat of power for three years, before Iraqi troops recaptured it in 2017. Much of Mosul’s east has made a modest recovery, but the west - home to the Old City and the museum - remains in ruins. The exhibit was “proof that war didn’t kill Mosul and that, on the contrary, it’s living a full-on renaissance,” said Huda Hani, a 25-year-old visitor. During its bloody reign over Mosul, Daesh released a video of its militants attacking the museum with sledgehammers and pneumatic drills, destroying priceless pre-Islamic artefacts that it considered insulting to religion. Daesh also blew up the Assyrian city of Nimrud, the ancient city of Hatra, and the centuries-old desert city of Palmyra in neighbouring Syria. But in addition to destroying artefacts, Daesh trafficked valuable pieces to finance its activities. And ALIPH, a heritage-focused project led by France and the UAE, has dedicated $480,000 to help in the first phase of the museum’s reconstruction.